It's a fact: having living plants in your office or workplace is good for business. 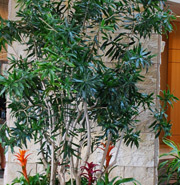 Studies show that interior plants deliver much more than aesthetic beauty—they help increase employee productivity, reduce office stress, cut down on employee sick days, bolster your professional image with customers, ensure a healthier/cleaner environment, to name but a few. 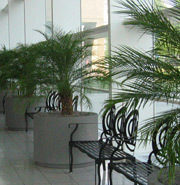 Living plants can improve tenant retention by 17% based on various case studies. 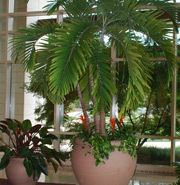 Living plants have been shown to reduce stress and a foster a more positive, stress-free environment. 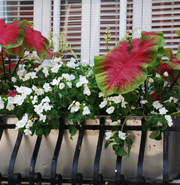 Living plants can help reduce harmful airborne molds and bacteria by 60%. This leads to healthier employees and fewer sick days. 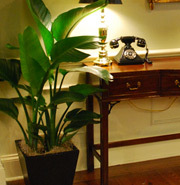 Living plants can actually enhance worker productivity by 12%. Living plants have a positive effect on employees and contribute to higher job satisfaction, with reduced turnover. Living plants cost much less than other interior decorating choices, and they significantly enhance the perception of your corporate image.